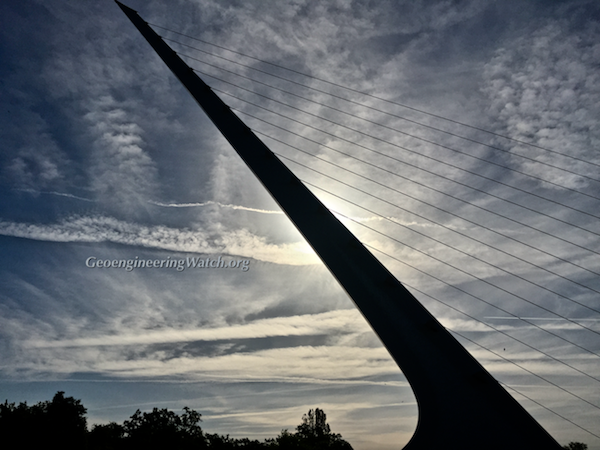 On Saturday, October 20th, 2018, GeoengineeringWatch.org and GEM FAIRE INC are sponsoring a Northern California climate engineering awareness and call to action event at the Holiday Inn, Redding, California. The Holiday Inn Convention Center seats up to 600, parking for the event is free and very convenient. The event is FREE as are numerous awareness raising materials available at the event. The doors will be open to the public at 5 p.m., the evening’s presentation will begin at 6 p.m. For those that are traveling to the Redding area, the Holiday Inn is offering a discounted rate on a limited number of rooms. If you want to reserve a room, the reservation code is GEO. Covert global climate engineering operations are completely disrupting Earth’s natural weather cycles. Illegal climate intervention programs are further fueling record drought, wildfires, deluges and ozone layer destruction. Verifiable evidence will be presented to the public on the ongoing global climate engineering / geoengineering programs that are wreaking havoc on the atmosphere, environment and human health. Earth’s entire climate system has been completely disrupted and derailed by the ongoing climate engineering / geoengineering / solar radiation management operations. Again, this is a FREE public education event organized and funded by GeoengineeringWatch.org with additional assistance from GEM FAIRE Inc. There is no admission fee and free informational materials (including re-usable GeoengineeringWatch tote bags, commercial DVDs and 20 page full color informational booklets) will be handed out at the event. Doors will open to the public at 5 p.m. on Saturday, October 20th, the evening’s full presentation on global climate engineering operations (and their catastrophic effects) will begin at 6 p.m.
For over 70 years those in power have waged covert weather warfare against unsuspecting and innocent populations all over the planet while also attempting to mask the true severity of unfolding and accelerating climate collapse (which climate engineering is further fueling overall). The ongoing covert climate engineering programs are referred to under several primary scientific terms: solar radiation management (SRM), stratospheric aerosol geoengineering (SAG), and stratospheric aerosol injection (SAI). The destruction already inflicted to the biosphere and all life forms from the climate modification insanity is immense, beyond quantification, and is accelerating by the day. Earth’s weather and life support systems have long since been completely derailed and disrupted by global climate intervention operations. The highly toxic heavy metal and chemical fallout from these covert programs has contaminated the entire surface of the planet and every breath we take. 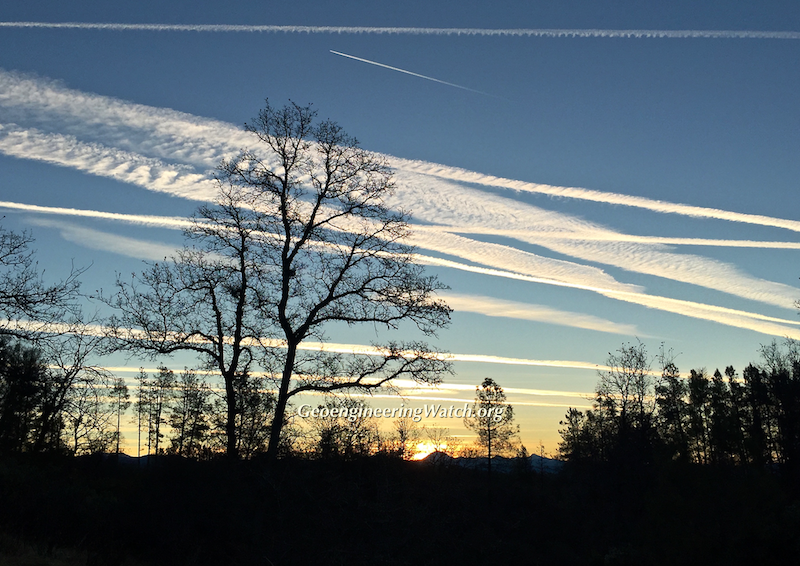 What is climate engineering / geoengineering / solar radiation management? Why are these operations being carried out? Who is behind these operations? Which countries and governments are involved? What are the overall consequences of the ongoing climate engineering operations? To the biosphere and to us? What are the geopolitical / global conflict ramifications as a direct result of climate engineering / weather warfare? How can we expose and stop these lethal programs? Very comprehensive PowerPoint data and documentation will thoroughly address the the long list of threats posed by the climate engineering issue. 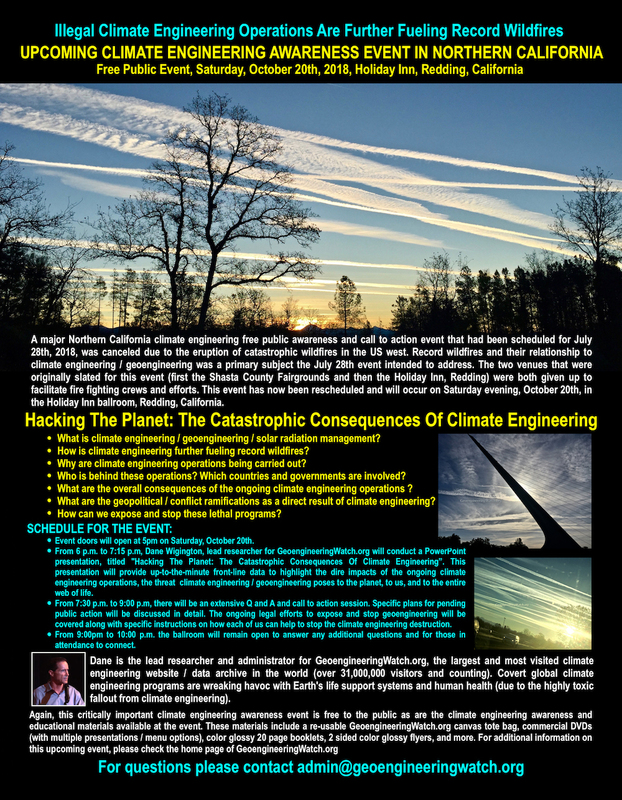 From 6 p.m. to 7:15 p.m, Dane Wigington, lead researcher for GeoengineeringWatch.org will conduct a PowerPoint presentation, titled “Hacking The Planet: The Catastrophic Consequences Of Climate Engineering“. 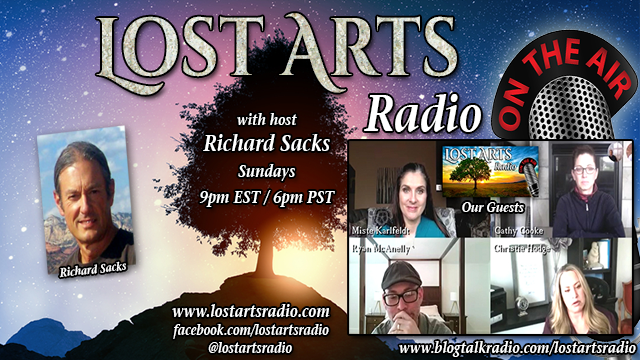 This presentation will provide up to the minute front-line data to highlight the dire impacts of the ongoing climate engineering operations and the threat climate engineering / geoengineering poses to our survival and to the entire web of life. From unprecedented wildfires to record downpours and flooding, climate engineering is playing a massive part in the equation which is not being acknowledged by any official agency. How many are even aware of the fact that there is an illegal federal gag order on all National Weather Service (NWS) and all National Oceanic and Atmospheric Administration (NOAA) employees, the nations weathermen? The ongoing legal efforts to expose and stop geoengineering will also be covered along with specific suggestions as to how each of us can help to turn the tide. Dane is the lead researcher and administrator for GeoengineeringWatch.org, the largest and most visited climate engineering website / data archive in the world (over 31,000,000 visitors and counting). Covert global climate engineering programs are wreaking havoc with Earth’s life support systems and human health (due to the highly toxic fallout from climate engineering). 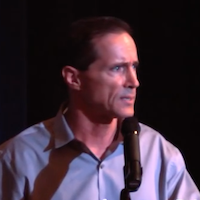 To view a former Northern California presentation by Dane Wigington, click HERE. From 7:30 p.m. to 9:00 p.m., an extended public question and answer session will commence. 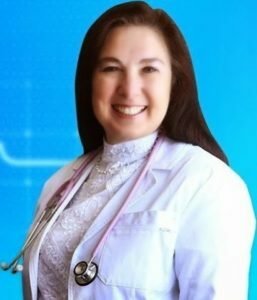 Concise and verifiable answers will be given in as short a time as possible in order to provide the maximum amount of critically important information during this Q and A session. For those who wish to print event flyers to distribute, please click the PDF button to download. The planet’s life support systems are unraveling by the day, this is not speculation, but verifiable front-line fact. 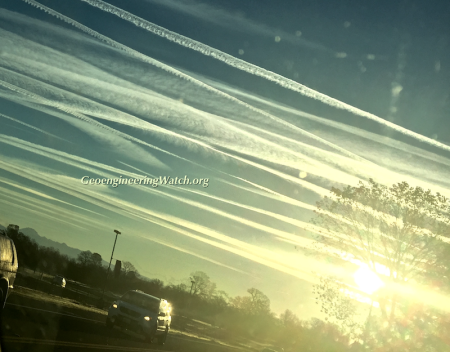 Geoengineering Watch hopes that all those who are able to attend this free critical awareness and take action event, will do so. It is our collective efforts that can yet make a difference for the better. Hope to see you at the Saturday, October 20th, 2018, event at the Holiday Inn, Redding, California.